This was taken during our ill-fated attempt to hike to Yading via Muli. Me and these kiwis got as far as Muli and halfway over to the Shouchu valley before getting bogged down and lost. And getting a logging truck back to Muli (Wachang). We visited the Yufeng Si temple near Lijiang before we set off. 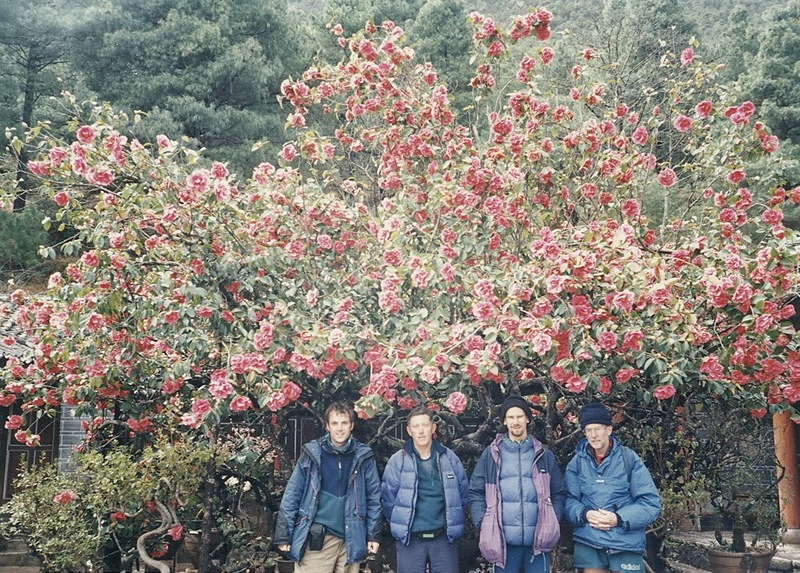 Keith Lyons (second right) liked the place so much he settled there and now runs his guiding agency in Lijiang. 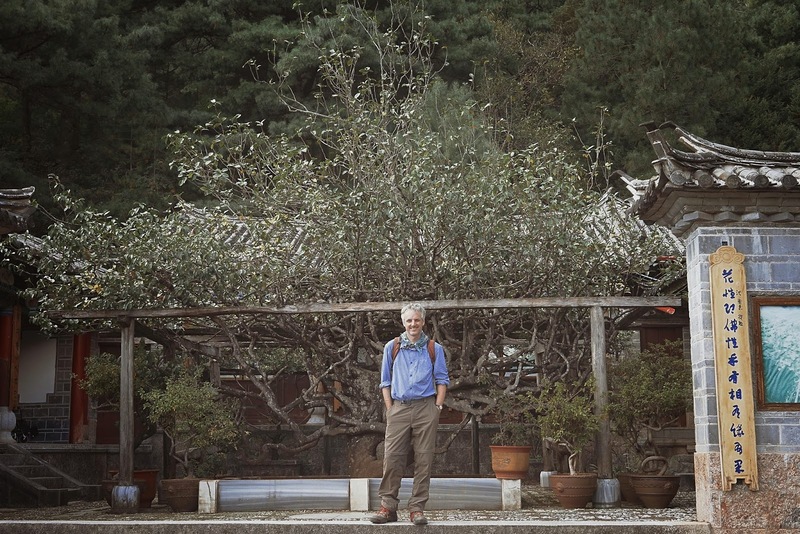 Same tree, 20 years later. Autumn, so not in bloom. the Camelia blossom is so touching! wish much to witness it, should it be April ?